Interest rates are capped, what next? Last week on Wednesday President Kenyatta assented to the Bill to cap interest rates at 4 percent above the Central Bank Rate (CBR). Given the CBR is currently at 10.5 percent, the new law stipulates banks cannot charge more than 14.5 percent on loans. The immediate effect of this decision is already being felt. As of when this article was written, prices of shares of banks listed on the Nairobi Securities Exchange (NSE) had plummeted by up to 10 percent. Given that a great deal of activity in the NSE is from foreign sources, the dip in prices signals that the world was watching Kenya on this issue and do not seem to like the direction of the decision made. However, the overall concern with the rate cap decision is the associated uncertainty. Banks themselves are trying to figure out how the new law will affect them and their operations. There are basic questions that are yet to be answered: will existing debt portfolios be affected by the law? Will regulated microfinance rates be capped? How will the new law affect lending? This cap creates an aura of uncertainty going forward which is of particular concern given that Kenya is going into an election year which comes with uncertainty of its own. Beyond the uncertainty, an issue that will be front and centre is whether the lower interest rates will actually expand access to credit. In the mind of the Kenyan public, lower interest rates will translate to cheaper loans. What the public seems to be forgetting is that capping interest rates may make it harder to qualify for the loan in the first place. There is a real possibility that the law will lead to a contraction of credit; banks will not lend to parties whom they feel are riskier than the stipulated 14.5 percent. Indeed, because rates have been capped, there is no margin of error for banks in lending decisions. Thus there is there a real possibility that qualification requirements for credit will become even more stringent and onerous than before as banks seek to ensure that each lending decision is a sure bet. So while there may be jubilation for the next few months, it may be short lived. Kenyans may find that getting that ‘cheap loan’ is not as easy as they had anticipated. In short, it is conceivable that the credit market will be drier than was the case before the capping. Leading from this scenario is the possibility of a broadening of the gap between credit demand and supply. There has been concern expressed on how such a credit gap may strengthen unregulated shadow lending mechanisms; this is a real and present danger. However, there is a silver lining. SACCOs stand to be the biggest winners from this interest rate cap. If the new law leads to lower access to credit from banks, many Kenyans may move to SACCOs to get the credit they need for their personal and business needs. Other parties that can benefit from the unfolding scenario and potential credit squeeze are alternative financing institutions such as impact investors and equity funds. Impact investors may find that fairly credible SMEs that were previously absorbed in mainstream credit markets are finding it harder to get the financing they need and can now be more readily financed through impact investment products. Equity funds may find that this is the tipping point needed for Kenyans to truly open up to equity financing. In short, we’ll see what happens. What Kenya can be sure of is that the world is watching this development, and key lessons will be learnt from this, for better or worse. This entry was posted in Africa, Development economics, Economics, frontier markets, Kenya, Political Economy, Politics and tagged Credit, debt, Equity, Interest rate capping, Interest rates, SACCO. Kenyans are well aware of the tensions and dynamics around land ownership in the country. The contentious issues around land are often linked to tribal and ethnic tensions; indeed land issues informed the ferocity of post-election violence in 2007/8. But beyond being a tension between different communities, land ownership issues are hampering the country’s economic development. Firstly, land directly affects agricultural productivity, or the lack thereof. At the moment, statistics indicate that small-scale farming accounts for at least 75 percent of the country’s total agricultural output and 70 percent of marketed agricultural produce. In short, most of the meals eaten by Kenyans come from a smallholder farmer working away on his or her small patch of land. However, one of the reasons why agricultural productivity is so low in the country is precisely because the vast majority of farmers are farming over-worked, nutrient-depleted, small pieces of land that have been subdivided for generations. The situation is made more complex by the fact that many small holder farmers do not have the title deed to the land. So while there may be a general acknowledgement by their community that the land they farm is indeed theirs, the costs related to registering land and acquiring titles are too high for most smallholder farmers. As a result the farmers do not legally own the land and thus cannot use the land as collateral to access credit that could allow them to make improvements to their farms and farming practices. More importantly, smallholder farms cannot be conglomerated in one large piece that can be more efficiently farmed with higher levels of mechanisation, productivity and profitability. As a result, Kenyans agriculture sector is stuck in a rut with no foreseeable way out because of the land issue. If anything, the situation will worsen as the average size of land holdings continues to reduce due to the cultural practice of subdivisions of the land for each son in the family for inheritance purposes. Manufacturing is also affected by Kenyan’s land problem because even if a company wants to expand operations to another part of the country, the process of procuring land on which the factory or plant will be built is daunting. The lack of legal title depresses demand for land because potential buyers do not want to negotiate the complexities of proving ownership. No one wants the nightmare of procuring a piece of land that is then mired in contention that prevents business activity from moving forward. Thus it must be asked: to what extent are land issues hampering the expansion of industry and manufacturing in the country? Further, the lack of legal ownership also makes it difficult for land holders to come together and combine smaller pieces of land into a mass that can more effectively attract capital investment. In short, both supply and demand are affected by the land question. Finally, infrastructure development is more costly, mired in delays and incredibly complex because of land issues. In some cases communities do not agree with the valuation of land engendering renegotiations, in other cases absentee landlords make the process of land acquisition long and arduous. However, the most complex is where communities live on what they consider their ancestral land but the land is legally owned by another person or entity. Who is to be compensated in such cases not only from a legal, but also moral point of view? How is compensation to be negotiated without engendering protest? Land is a core factor behind the accrual of delays and expenses in some of the infrastructure projects in the country. In short, a great deal of Kenya’s economic potential is locked in the land. Sadly, due to the way politics is linked to tribal identity and thus land in Kenya, it may be decades before the country sees a crop of leaders prepared to address the land issue and unlock a great deal of the country’s economic potential. This entry was posted in Africa, Development economics, Economics, frontier markets, Kenya, Political Economy and tagged Agriculture, economic development, Infrastructure, land, manufacturing, tribe. Kenyan banks present a voluntary plan to gradually reduce lending rates. Johnson Nderi of ABC Capital and I analyse the proposals. This entry was posted in Africa, Development economics, Economics, frontier markets, International Finance, Kenya, Political Economy, Politics and tagged Banking, debt, Interest rates, MFI. 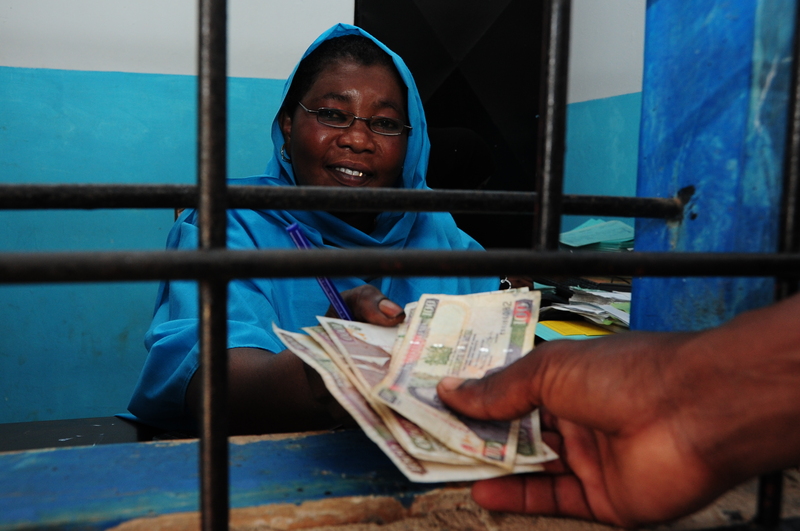 As a development economist I have a natural interest in Microfinance Institutions (MFIs) because they have been an important story in Kenya’s financial inclusion story. In a previous article I argued that interest capping for banks in general is a dubious bet rife with risk that may harm Kenyans and the economy more than it can help. But a key question has emerged in this debate: Are interest rate caps going to be applied to MFIs should it be effected? This question is pertinent for two reasons firstly the ‘common man’ (mwananchi) in whose interest MPs apparently passed the bill tend to borrow more from MFIs than commercial banks. Secondly due to the business model of MFIs, interest rates and more importantly annual percentage rates (APRs) are particularly high. Indeed last year (which is the latest year where such data readily available), Central Bank of Kenya (CBK) data showed that micro-lenders were on average charging 22.6 percent on loans compared to 16 percent by banks; more in this later. Finally, there is a growing grey area that prevents the classification of entities as either strictly commercial banks or strictly MFIs. If one looks at the CBK list of what is classified as commercial banks, some on that list brand and market themselves as MFIs and target similar customer groups as MFIs. Thus if such ‘commercial’ banks will potentially be affected by interest rate capping, why shouldn’t MFIs in general? Further it could be argued that the demographic group that tends to borrow from MFIs are low income and thus, of everyone, need capped interest rates the most. But as you will see, capping MFI interest rates is just as bad an idea as capping interest rates for commercial banks. The MFI question is important because if only commercial bank interest rates are capped, it may engender a shift of loans from the MFI docket to the commercial bank docket as Kenyans seek the best deals possible. However in that shift, thousands of low income Kenyans may leave a docket that was designed with them in mind particularly with regards to loan size, into one that does not have them front on centre. So either Kenyans will be trapped with MFIs with much higher interest rates but the right loan size, or they risk moving to a bank that has a lower interest rate but does not have a loan size which is manageable or relevant thereby locking them out of credit. This seems like a raw deal for mwananchi either way. On the other hand if the interest rate cap applies to MFIs it will compromise their ability to serve low income Kenyans. This is because MFIs typically process very many small loans when compared to commercial banks because low income Kenyans can typically service only small loans. Because of this, MFIs tend to have higher overheads in terms of outreach, and processing costs and overheads is a key component that informs interest rates. Larger overheads place upward pressure in terms of interest rates offered. Secondly, is the issue of non-performing loans (NPLs) where again the argument is that as MFIs target a less financially secure and less wealthy income group, the risk of NPLs is higher than a commercial bank that focuses on corporate clients for example. Thus again, upward pressure is exerted on interest rates in MFIs. These factors partially explain why the CBK data showed that micro-lenders (MFIs) charge more on loans than regular banks. Thus if capping interest rates apply to MFIs there will be pressure to lower overhead costs which may compromise how many loans can be processed which will likely translate a lower volume of loans being awarded thereby contracting credit supply particularly for low income Kenyans. Further, MFIs will be less able to take on riskier clients as there will be very limited wiggle room in terms of NPLs. So again, how does the ‘common man’ benefit from interest rate capping? There is need for more clarity on which institutions will be affected by interest rate capping in order to better manage potential ramifications so that Kenyans, especially low income Kenyans, get the best deal possible. This entry was posted in Africa, Development economics, Economics, frontier markets, Kenya, Political Economy and tagged debt, Interest rates, loans, low income, MFI, poverty. Kenyans are in the process of debating whether interest rates in Kenya should be capped at 4 percent above the Central Bank of Kenya Rate. The motive behind this push by Members of Parliament is informed by the general feeling that interest rates in Kenya are too high, leading to low access to finance which dampens economic growth; and I broadly agree with this sentiment. However, the move to cap interest rates is gnarled in risks that need to be understood. The general perception, indeed the populist position, is that lowering interest rates will mean that more Kenyans will be able to access more credit thereby enabling them to make more economically productive investments and drive up GDP growth. This is not what will happen; more on this later. But let’s say that lowered interest rates did lead to more Kenyans being able to qualify for debt and more had access to more money. What would likely happen in this scenario is that the increase in money supply into the economy would place significant upward pressure on inflation. So there is a real risk that the sudden increase in money supply facilitated by lower interest rates would drive inflation upwards. Two things would then happen: first the cost of goods and services for Kenyans would go up and dampen the ability of the money they borrowed to drive forward investments made through the debt. The lower rates would lead to a situation where the money they borrowed would be less profitable than would be the case if inflation had remained stable at current rates. So what Kenyans are risking here is that increased access to money through lower interest rates will drive up inflation which reduces the value of the money they borrowed thereby inhibiting the ability of that money to drive up profits and economic growth. This leads to another point; forcibly low interest rates may drive inflation up so high that Kenya will be in the ludicrous position of the Central Bank of Kenya (CBK) being pressured to raise interest rates to control the inflation caused by lower rates. So the irony is that rates being lowered will lead to rates later being raised to address the problems caused by rates that were artificially lowered. This leads to the other risk I alluded to earlier; an increase in money supply due to lower rates is likely not to happen. What will actually happen is a contraction in lending and money supply. Capping interest rates will put banks in the position where an entire segment of the population is disqualified from lending because they pose more risk than the interest rate cap allows. Banks will simply not lend to individuals and businesses whom they think cannot service the debt credibly at that capped ceiling. So what will actually happen if interest rates are capped is reduced lending, not increased lending. So an additional risk is that capping interest rates will reduce access to credit which will make economic growth even more sluggish than is the case with current interest rates. The elucidation above is not rooted in a desire to make access to finance more difficult for Kenyans; the explanations merely provide a considered opinion of what will likely happen if interest rates are capped. If Kenyans are of the view that engaging in this gamble is worth it, then so be it. But let us not, as Kenyans, deceive ourselves into thinking that the proposal to cap interest rates is risk free. This entry was posted in Africa, Capital Markets, Development economics, Economics, frontier markets, International Finance, Kenya, Political Economy, Politics and tagged capping, debt, economic growth, Interest rates, loans. On August 3, 2016 I was part of a panel interviewed by Citizen TV on the move to cap interest rates in Kenya. This entry was posted in Africa, Capital Markets, Development economics, Economics, frontier markets, Kenya, Political Economy, Politics and tagged access to finance, debt, fiscal policy, Interest rates, Monetary Policy. Last week scholars from Japan shared highlights from the publication Contemporary African Economies: A Changing Continent under Globalisation in which the scholars state that growth in Kenya is not inclusive and has failed to redistribute wealth to the poor. They rightly observe that the manufacturing growth sector is becoming thinner than before and that productivity in the agriculture sector is static. They suggest government should invest in human resource development including education. Let’s look at three crucial weaknesses with the Kenyan model with regards to agriculture, manufacturing and education. A cursory look at the agricultural sector in Kenya reveals serious productivity problems. According to the Kenya National Bureau of statistics the agriculture sector accounts for 60 percent of total employment yet contributes about 25.9 percent to the Gross Domestic Product (GDP) of Kenya. So the effort of 60 percent of employed Kenyans contribute a measly 25 percent to GDP; clearly there is a productivity problem. Systemic problems that beset the sector according to the government’s agriculture, rural and urban development sector report include the inadequate exchequer releases. So it is interesting that an analysis of the 2016/17 budget reveals that government reduced allocation to the department of agriculture by KES 1.73 billion and fisheries by KES 510 million when compared to last year. Although this was compensated by an increased allocation to livestock the reality is that agriculture, livestock and fisheries combined constituted a paltry 2.4 percent of the total budget. Although the problem in agriculture cannot be solved solely by throwing money at the problem, allocating less than 3 percent to such a crucial sector is telling. Factors that negatively inform agricultural productivity include the high cost of inputs, low absorption of new technology and low farmer skills levels. The sad reality is that this is an old story that persists; so government’s action to solving these issues is wanting. Strategies that should be front and centre is to seriously address the land holding problem, reduce the cost of inputs and provide farmers with better schemes to improve their equipment and skills levels so that productivity is boosted. Secondly is the manufacturing question where on average the sector has been growing at just over 3 percent per year while the economy has been growing at just over 5 percent. Thus the share of manufacturing of GDP is actually declining, not static as is the common perception. To be fair government is making effort to address problems with infrastructure but the sector suffers from inadequate financing as well as challenges with skilled labour. In my view government should leverage its own strategy as well as develop Public-Private-Partnerships to develop industry and manufacturing with two factors in mind: first absorb low skilled labour given that Kenya’s population’s average years of schooling is 6.5 years, second promote labour intensive manufacturing to create jobs for Kenyans. Again, here to be fair government is focussing on labour intensive manufacturing in the Kenya Industrial Transformation Programme of which one of the key sub-sector is textiles and apparel. However, government needs to focus on reducing cost of production, facilitate access to long term patient finance, and improve curricula to ensure students are taught relevant skills so that manufacturing can play a stronger role in job creation and economic growth. The education problem translates into an informal employment and slumped growth problem. In terms of informal employment, education entry requirements are too high for most Kenyans to meet thereby barring them from the more lucrative, productive and secure formal sector jobs. As a result about 80 percent of Kenyans find less secure, lower paying and frankly low productivity jobs in the informal sector. Productivity is a particular challenge and a study by the World Bank indicates clear links to education levels. In the informal sector the education level of managers is highly correlated with the level of labour productivity. Labour productivity for firms with managers that have no education or only primary education is only 72 percent of that of firms with managers that have vocational training or a university degree. Although the formal sector tends to absorb better educated Kenyans, private sector consistently articulates there is a massive skills gap between what Kenyans are taught in schools, universities and vocational schools and what the labour market actually needs. Thus government strategies for education are to better link curricula with labour market skills needs and develop strategies to improve education and skills levels in the informal economy to boost productivity. This entry was posted in Africa, Development economics, Economics, frontier markets, Kenya, Political Economy and tagged Agriculture, economic development, education, informal economy.